TiffanieTeel.com: Are Toddler’s Ready to Snow Ski? Are Toddler’s Ready to Snow Ski? 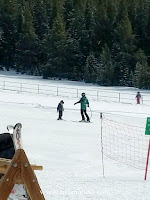 After my sister took her two boys (5 & 7) skiing last year, I've wanted to teach my boy early too. And it always takes time to plan a good trip, but it takes extra time to plan travel on a budget. Needless to say, we've been counting down to this trip for about 6 months. My parents and I shopped bargains and deals until we booked it all for better than fair prices. If you want to know how I book travel, one piece at a time while on a budget, comment below. With enough requests, I'll write a separate post about this. I thought my boy would nap on the plane, and if not, I figured he'd definitely sleep in the car. Unfortunately, this little man fell asleep during landing and in the car two times right before we got out to shop and eat. Oh, we had a delayed arrival time which pushed us right onto the interstate for Denver rush hour traffic. Awesome, right? 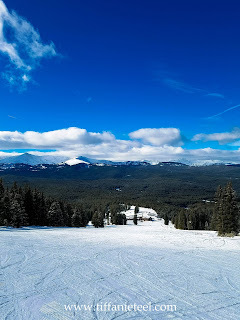 We tried to make the most of it by jumping off the interstate for a wholesale shopping trip, and then scooted up the mountain range to Idaho Springs for a great meal at Tommyknocker Craft Brewery and Pub. I mean, they have an AWESOME Peach IPA, and I didn't even get the name of it. 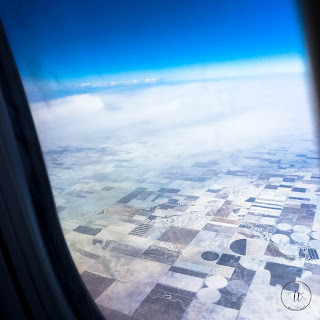 We wrapped up and hoped to arrive in Buena Vista, Colorado within a little bit of time, but a the roads weren't all great and we drove through a beautiful white snow fall, all while my boy was in and out of car sickness and sleep. Car sickness. Can I say that again? Moms, if you are reading, who has experienced car sickness with their toddlers? This is new to me, and HARD. I don't know when he is really going to get sick vs he might puke or he thinks he just wants to stop. Message me, here, if you have any feedback. If I'm honest, I dosed in and out of sleep myself, while half-way turned around to hold my boy's hand. I don't remember all of the drive up. I was tired. But I remember driving into town, following Google Maps towards our VRBO when the rest of the car said, "did that sign say, 'CAUTION! Entering State Penitentiary Territory. Do NOT stop!'?" You better believe, I sat straight up! I'm thinking, who successfully rents a VRBO without disclosing how close they are to this "TERRITORY"?? Our renter, obviously. Turns out, we missed a turn, but DANG! We aren't that far from that warning sign. I should probably be worried! Day one finally ended after unloading into a cozy home on the Arkansas River, and I have forgotten all about that territory up the road. *wink-wink* However, I'm still worried about whether the Arkansas River and one mile is enough space between my family and the sign we read. Day 2: I take pride in my travel planning skills, until now. As a mom, I tried to consider all the details around my child's schedule and needs, as well as everyone else's travel wants. As the alarm went off at 6 am, I knew I messed up by booking my boy's first ski lesson for 10 o'clock am on our first ski day. No one was ready to move that early, especially me. Did I mention that we didn't find our house until around 1AM, our time, or later? We did NOT get out of this house on time, and I was quite stressed about getting us fed, renting our ski equipment and arriving for this lesson on time, much less 15 minutes early. Thankfully, someone smarter in the car suggested I call the ski resort, when the ski school did not answer my call to request a later lesson. It worked. We got the lesson moved from 10AM to 1PM. I sighed relief, for a minimum amount of time. 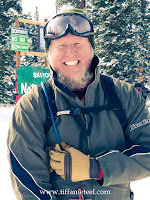 The extra time allowed us to find a great breakfast at the Golden Burro, rent our equipment from Paul at Bill's Ski & Snowboard Rentals in Leadville and get up to Ski Cooper in time to get my boy in his gear before his lesson. Meltdown enters here, but first, let me describe what this day was for me. Today. This is the day I chose to get back on a pair of snow skis for the first time in about 10 years. It was emotional. Imagine the excitement that I had starting my day knowing the joy I would be experiencing again, yet not on my own. We had private lessons set up for my boy too!!! But you know what; it was hard! Things weren't as they should have been (in my head 😂). As a first time mom, I was not smart enough to avoid booking his first ski lesson during nap time (our time which, of course, his body is still on our time). Que #Meltdown. The boys took another run, as I released the biggest sigh of relief, sniffed some Valor and gave myself a pep talk. Then, the guys came back, and I was ready for the all-time best trail, the Molly Mayfield. Getting down this one included another stream of emotions because I had my first fall (frustrating), but also felt the groove, and I finished like a champ (for my level, of course). You know what else was even better than that feeling? Skiing up to see my boy on skis and skiing to his daddy. Lollee for the win!!! She managed to spend that little (but what felt like eternity for me) time with him and talk him into skis. The best feeling in the world and exactly what I needed to return to! Of course, at the end of a day like that, you can't help but laugh out loud at losing the sole of a shoe you are forced to wear in public for the remainder of the day! 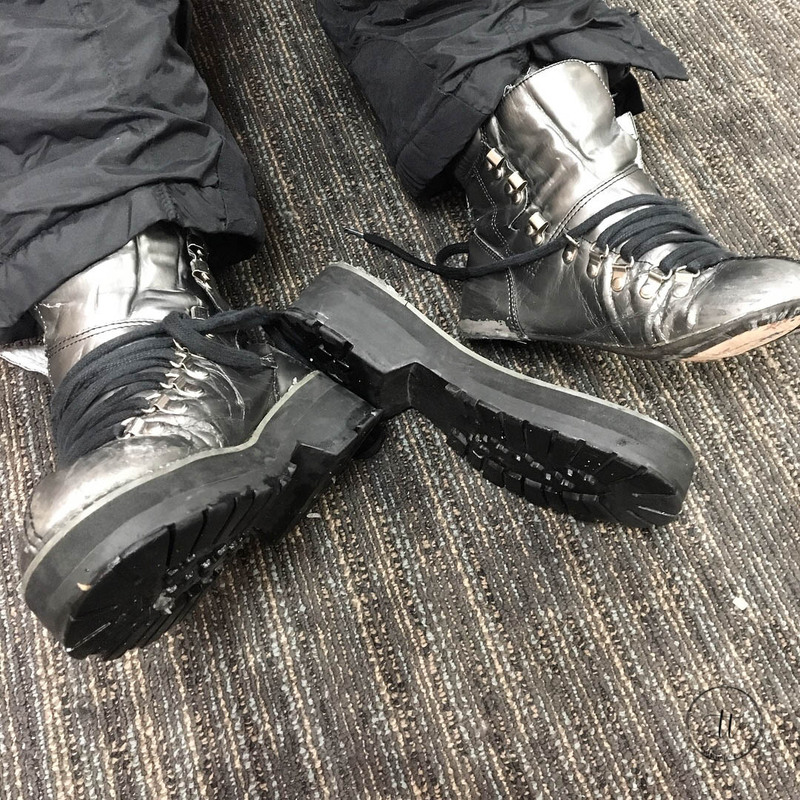 But hey, these boots were with me for my first ski trip, over 20 years ago, so I am okay to retire them in the same resort where I learned to ski. I'd love to say the whole day ended on this happy high, especially after I walked into a The Lariat with a one-missing-heel limp, but no. Our review of this restaurant left us with quite a different feeling. Beer was good, but food did not meet our standard. Let’s just say, if they said they were serving bar food it would have been way better than what we were served. Day 3: Worst night of sleep ever. You know when you're in a new environment and you can't get comfortable. Each room has its own floor heater and thermostat. The first night, we froze. This night, we were SO HOT. I was up every two hours feeling my body coming down with something. I failed to bring a glass of water up to my room before I went to bed, and because I didn't want to make the trip downstairs in the middle of the night, I found myself drinking from the bathroom sink every few hours. Once the boy woke us, I knew I wasn't well. And this means, our trip is definitely not going to go as planned! So, here I am excited to get my boy back to his rescheduled ski lesson, yet I've got a throbbing head, the one when you can feel the congestion in your sinuses. You know what though? I didn't care. I was going to push through because it would be worth it to spend the day with my boy who was finally excited to be on skis. Then, it was time to get dressed and go, and I was unable to leave the bed. I had already made multiple trips to the bathroom, but now, I had to return... all the cookies were lost! Oh no! I can't go to the mountain, sit in a resort with a bug that I might possibly give to someone else. This means, I can't go, but I couldn't say it outloud. Thankfully, moms (no matter how old you are) know what you need. Lollee comes in to suggest I stay home and they take my boy for the day. Everyone knew I had to push through the funk to find the freedom of health again. Talk about an emotional roller coaster. I felt like such a failure in this moment. How could I miss a vacation day with my family? How could I miss my boy's ski lesson? It's a good thing someone else pretty much made the decision for me. As soon as they were out the door, I bawled like a baby, but melted into the couch for a nap. My body was not right. Stomach issues. Sinus issues. Now, maybe a fever. It wasn't good. Even after waking from my first, short nap, I couldn't even open my book. You know me, I was prepared for the good and bad. I was already doused with essential oils because I do not travel without an arsenal of oils. Thankfully, by lunch I was ready to soak in a bath and shower which helped me feel like a new woman. The rest of the day, I tried to enjoy myself and this beautiful view. I got into my book a little, watched a show, took a few pictures and waited very impatiently for updates from my family about their day on the mountain. NOTHING. It's funny! 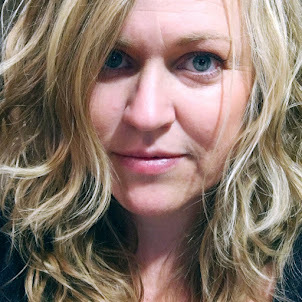 As a mom, I've dreamed about a day to myself in less of a setting, but now that I have a better-than-imagined setting, I want to be somewhere else. Unfortunately, cell service up on the mountain is terrible, and no one could get out an update or picture for me, until their drive home. 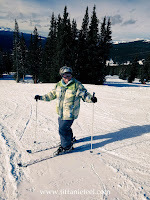 It was so great to hear that my boy went to his lesson, even though he enjoyed more snow angels than time on his skis. Maybe 3.5 is a little too early for someone who doesn't live in a snowy region? I don't know; I'm not ready to give in, so tomorrow... I said. "Tomorrow, I'll spend the whole day on the magic carpet and bunny hill with him." I was determined to get back to 100% and get us out there again the next day. Mindset: Makeup for a lost day, right? Car sickness. Or bug. I don't know which, but my boy puked (a lot) in the car on the way up the mountain. Poor boy. We had to stop so many times, and by the time we arrived to the resort, I was nauseated too. Day 2 of poor health on vacation, and I don't like it!! We sent everyone else up the mountain, not wanting to hold them up, and we stayed in the warm car to see if the tummy aches would pass. Eventually, we found a table at the pub away from everyone else with a sweet server who took care of us all.day.long. My boy didn't even like the walk from the car to the building, much less want to play outside in the snow. All he wanted was the iPad and a quiet space; so I indulged. 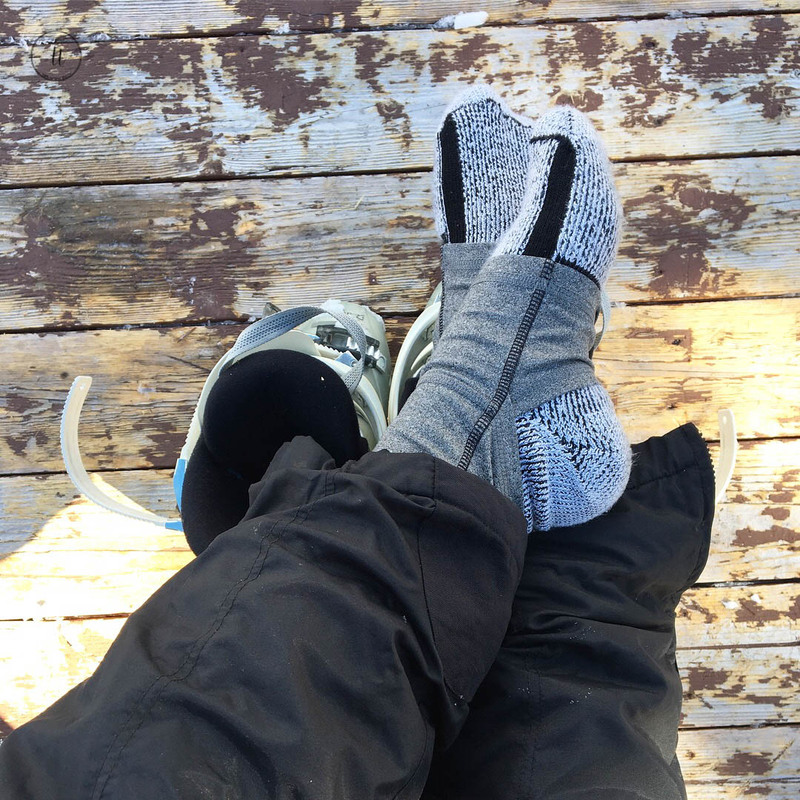 As a mom on a budget, it wasn't super hard to give up a day on the mountain, knowing I could sell my ski ticket for almost twice what I paid for it. Now I have two tickets to sell, and I should be able to make enough money to cover my boy's ski lesson. Any other mom's think like this instead of fretting about what they missed? I have to say though, our evening was one of the best we've had. We started at the Silver Dollar Saloon for some shuffleboard and brew. This is seriously one of the oldest, coolest bars I've ever been in, and honestly, I wasn't ready to leave after one game; but we do have a toddler. So, it was onto dinner at Quincy's Steakhouse. My dad has raved about how good the food is here. They pick 2 cuts of meat and one pasta option for their menu only to keep cost low. A prime rib plate or ribeye steak plate with salad and baked potato or for $12.95. They often have filet mignon too, but not this night. The horseradish was amazing and the prime rib quite worth the almost $13 price. It was a great meal, cool building and quiet atmosphere. On the way home, we made a quick pit stop at the grocery because a snowstorm is headed in overnight. You know how us Georgian's act; milk, bread and eggs just to be safe! My boy fell asleep on the way home and went straight into his bed. And that means, I'm about to say goodnight here, so we adults can play some cards. Day 5: This day was a scheduled rest day and it may have taken the cake. My computer DIED. As in, hard drive is dead. So NOT good. I might be a little too attached to my electronics, but it is where my photo editing tools are, it's where I stored all of my photos since becoming a mom (dumb, dumb), and I have just moved all of my pictures from this trip to a folder on my computer. So, you'll have to excuse me if this post is not updated with photography and graphics in a timely manner. I'll have to get home before I can repair the problem, so I'm slightly flipping out. No. I'm really flipping out. A lot! I sure hope we can recover my pictures. That's the only thing I care about because the rest can be replaced. And if you're readying this, do yourself a favor... backup your images. Put ALL OF YOUR PHOTOS on a cloud drive, Dropbox, Google Drive, iCloud, One Drive or somewhere that will save you in this situation. Why I haven't, I don't know. I'm so much smarter than... but, maybe I will find a way to recover them. Regardless, you don't ever want to be under this stress, so learn from my mistake. On top of that, I got sick again. Stomach sick. It's really confusing me and making me worried about what could be wrong. Seems, right after I eat, I am getting this issue. Thought maybe car sickness or altitude, and I even thought maybe it was my vitamins because let's be honest, I'm taking a lot of supplements. However, today, I was hydrated, didn't take the vitamins and we weren't riding in the car. It took half the day, a Coke and, get this, a bowl of HOT chili to get better. The only common denominator so far, is eggs. No other dairy is bothering me though, so let me know what flashes through your mind after reading this. There are, of course, some really beautiful things about today. Capturing my husband and boy on a walk through the snow. Yes! A beautiful winter snow came through and we had a winter wonderland here during our rest day. My mom and dad were able to get out and enjoy the hot springs which was a priority for me too, but I didn't feel right about taking germs to the hot springs, but maybe we'll find a little time for that heat before the end of the trip. Day 6: We did it today. Even after disagreeing about which day should be our last on the slopes (Sunday or Monday), we got out the door and on the mountain again for our last day of skiing. Only one pit-stop for car sickness today, period. That was a win on the way up, but the bigger win for the day was the beauty we enjoyed in God's creation. When Lollee swapped with me today, I went up the mountain with TBone (have I told you that most people, including myself, refer to my hubby as TBone?) and Popaw (my dad). They had already explored the trails and knew which ones were perfectly fit for me, so we went up the front lift and straight down the back side of the mountain taking Tenderfoot. They chose well; I improved every time we went down, but I'm not gonna lie, I was TIRED by the time we went back down the front taking Molly Mayfield again!!! However, I got down just in-time for mama to go back out for one last ski. Watching my boy ride the front of Lollee's skis to the car was such a great way to end our week. Even though my 3.5 year old didn't actually like getting on his skis, he loved to talk about it and acted like he wanted to ski with us, until it came time to do it. Who knows if a lack of good fitting gloves had to do with it or if he just didn't like the work, but I am so glad we tried. Introducing him to skiing, having him watch his daddy ski and even witness me on skis was a great step in the right direction. I'm proud of myself for getting back out there too because it would have been a lot easier and cheaper to just say those days were behind me. However, I felt the muscle memory, remembered the fun it use to be for our family and was such a great reminder of what it could be for my family. I am so glad that we ate a lot of our meals in Leadville this week. The food and atmosphere has been so much better than our experience in Buena Vista. After hitting the Silver Dollar Saloon a few days ago for shuffleboard and a beer, we decided to go back for dinner, and ya'll... it was amazing food. I highly recommend stopping here for a great, all around experience. Like many before me, I wanted to track, evaluate, or figure out if one could teach a toddler to ski; therefore, I started documenting this trip. So you may ask, can you successfully teach a toddler to ski and enjoy your travels at the same time? Though we didn't bring out a skilled toddler skier, I do believe we enjoyed and experienced a successful vacation in the midst of watching our ideal goal fail. Ultimately, I believe if you can go with the flow, you can enjoy any type of travel with your family. Just keep family first, and all the rest will all work out. Day 7: Today is our last day before having to travel home. 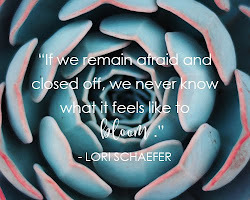 Once the sun came up, I cracked the french doors in my bedroom to let in the cool breeze sneak in while staying snuggled up in a down blanket. I could smell the coffee brewing downstairs, but just wanted sleep a little longer. So, I was so thankful to be able to sleep in for a bit after paying all the dues with my boy this week which did include a 5:30 morning wake. I've had a little bit of a struggle trying to keep up with my daily blog since my computer died. Knowing that I need to get it fixed fast so I can keep moving forward with this and my regular, daily activities on a laptop has me a little stressed out. My boy spent the morning being quite hyper and I could tell my parents were getting a little frustrated by his behavior. After all, we've been sharing the same space for a week now. It would make sense for any of us to be a little on edge with each other's habits by now. I found myself getting overwhelmed and then sick to my stomach again. In fact, it sent me to the bathroom with a green face. Now, it's crossing my mind, do I have an ulcer? Is stress inflaming it? Who knows? I'm definitely not a doctor. I most certainly don't diagnose myself correctly on most days. HaHa! I have, however, figured out some coping skills throughout the years, so a little peace and quiet, Stress Away essential oil blend in the diffuser, Frankincense on the crown of my head and on my wrists, and a few positive affirmations got me back in the game. I was not going to let day 7 go down without me. Let's get out of here and see more of this beautiful area we have been living in this week. In fact, we did a little Buena Vista shopping and then took the mostly dirt Co. Rd. 371 up the valley through three natural tunnels, with views of the rocky terrain in search for Mountain Goats and Bighorn Sheep. Who knows which ones my parents actually spotted last year on their travels to Buena Vista because one minute they were naming goats and the next it was sheep. We didn't see either, but we did spot a few bald eagles and a lot of mule deer, including many in town, crossing the streets. Of course, one of our favorite things to do on our travels is find good food. I've talked about most of the food we've eaten this week, so today, we were on the search for Pizza since the original Eddyline Brewery was closed for renovations. After a little research, I found us some options in Salida which is just south of Buena Vista. You know, we'd been going north to Leadville, so we were excited to go south and explore a new town. Between Moonlight Pizza & Brew Pub and Amicas Pizza Microbrew and More, we chose Amicas. If I'm not mistaken, Moonlight might be out of Big Sky, MT, and though we love their pizza, we wanted to try something new. We were not disappointed. Immediately after being seated, my boy received a piece of raw dough to shape up. They take it back and bake it for the kids and bring it back with honey. Isn't that a nice touch? The pizzas were all on real thin (flatbread) type crusts. It was delish! We'd definitely like to spend more time in Salida for eats. After lunch, mom and I walked around town browsing the consignment shops. If you know me well, you see me in cowboy boots more often than any other shoe. I need a black pair, and you guys... I found a mint condition, used pair of black Lucchese Cowboy Boots that felt like butter on my feet for $150. Now, I know that seems high, but knowing that a brand new pair of these boots go for $499, does that still seem high? Yeah, okay. My husband also thought it still seemed high for a pair of used boots. But if we weren't spending all of our spare change on vacation and my hard drive had not just gone kaput, I would have splurged on that beautiful pair of boots, but instead, I kept it smart and walked away from the boots that I've been dreaming about. I sure hope Free the Monkey Consignment finds an buyer who will love those boots as much as I would have! We did go through one or two others, and mom sure found a deal in each one! All in all, today was a great day to end with. Tomorrow, we hit the road, then air for travel home to Georgia. Day 8: You must know what it's like to get up and need to load the car and hit the road on the last day of vacation, so rather than filling you in on what that looked like for us, I'll just hit the highlights of our day for you. Like the one where I had a car-sick, puking toddler on the way back down the mountain terrain. Poor kid! I don't think he road in the car one time this week without getting sick. The iPad seemed to help the nausea subside for him sometimes, but others he would throw it back at me and ask for a cup. At least toddlers can learn how it's done! The last day of vacation can often be depressing or even paralyzing. It can be hard to enjoy because the thought of getting back to real life can be overwhelming when you're not ready. I didn't experience that today because we had some fun surprises planned on our way back to the airport. Surprises that included old friends and new, as well as a little tour of the town where my mom grew up. How cool to drive through Lollee's town with your hubby and boy? I've been lucky enough to visit Golden, CO with my mama before. She's toured me through it all, from grade school, high school, her home and even some of her jobs, but making the time to drive through some of it with my family was extra special. The friends we saw were icing on the cake. Visiting an Atlanta friend who is living out her dream in Colorado, and ended up in your mama's home town was super fun for all. I'm so blessed to know some great people, and it's real cool to visit them all over the world. And I find it interesting that distance can't separate you from someone who was meant to be in your life. We didn't know each other very well before she left Georgia, but our friendship keeps blossoming through the years, even though she now lives across the country. I don't need to trim the fat with you, girl. Thank you for taking time to see us and sharing the fish tacos which were so yummy at the Table Mountain Grill & Cantina. If I didn't mention our flight experience for this trip was with Southwest, let me just say that they have SUPER DEALS, and I love their open seating. If you're diligent about checking in on-time, online 24 hours before your departure, you're bound to get decent boarding. We fall into family boarding, so unless we get A Boarding Priority, we board between the A's & B's. This makes flying with a toddler and car seat quite a bit easier. A 6PM departure out of Denver gave us enough time to enjoy our final day, but it was a late night. I believe our tailwind pushed us into Atlanta about 45 minutes earlier than expected, but we were still not in bed until about 1AM. If you're planning to travel with a toddler, make sure you consider departure & arrival times, as well as nap & bedtimes (along with the time changes). Last, if you're still reading this, thank you for stopping in to share this journey with me. I hope you picked up a few travel tips, eatery suggestions and more. I'd love to hear from you. Please share your favorite places to travel in the comments below. 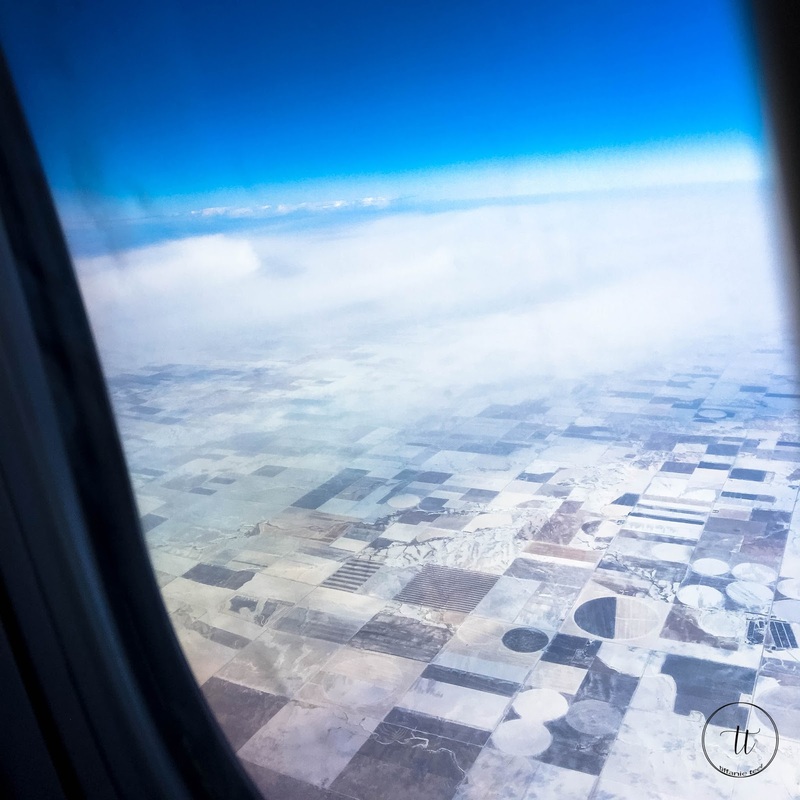 Tiffanie Teel Photography: if you'd like to view more of our travel album, click here.